Disappointment is a word that can cause a range of emotions. From mildly let down to gut wrenching, heartbreaking pain, disappointment can hit every step on the emotional roller coaster. It is something that I have struggled with on a very personal level. That dream life planned? Never happened. That new car or job? Couldn’t get it. Letting my friends and family down? Seems like an every day occurrence. That date that never called back? Yup, disappointing. And not only are all of these things disappointing, they start to wear on a person. But realistically, why let disappointment and despair win? It doesn’t have to win. There are ways to beat that feeling of disappointment that involve less Cheetos and are a bit more useful than gazing at empty space. The Bible actually talks about disappointment in a roundabout way and while thinking about this topic, I found some interesting verses that take a completely new meaning in regards to the “war on disappointment.” The idea is that we have to go through a process when it comes to disappointment. Step One: Go ahead grieve, rant and rave. It actually helps beat disappointment. Yeah that’s right, cry about it, yell about it. Let it all out. Why? Because God is right there with you, with each tear and each frustrating shout as you get upset about the disappointment. Be in the place of grieving, upsetness or frustration because God is there with you and me as we handle each of our disappointments. Be in that place because that’s the only way to heal, really. But remember that we don’t have to be stuck in that place. Step Two: Pray about it—and listen. It’s always funny when sometimes we go through a tough time and try to do the “woe is me” routine, we actually ignore the fact that we have a heavenly Father who we can take our issues to when we are hurting, upset, happy or disappointed. Yeah, I struggle with this greatly. I don’t take my concerns to God. Instead I fume, rant, and rave about it including my personal favorite—anxiously worrying myself to death. When we pray to God, He isn’t a magical genie, but like the verse says we experience peace in Him. Along with praying, listen to what He is trying to do. God would like to get a word in too sometime. Step Three: Believe in yourself because God does. Quick question: Has anyone ever argued with God and proved Him wrong? Yeah… I can’t remember the last time the Creator of the universe lost an argument or was proven wrong. So when the Man says that He believes in you so you should believe in you…well maybe it’s a good idea to listen. God doesn’t want to see us fail or fall into despair—nor would any parent really. God wants us to succeed and be happy because He believes in us. In order for all that awesome to happen, we need to believe in ourselves. It’s so easy to not believe because we know all of our good and bad sides, but newsflash: God knows that too! Yes disappointment can be frustrating and seems to crop up in some of our lives every single day. It’s not going to go away though and we shouldn’t just accept it either. Instead of letting the demons of disappointment define who we are, we should instead disappoint the feeling of disappointment. Reading what you have written in the past can be enlightening in many ways. Sometimes, it can be quite difficult to do. But sometimes, those latent words do something to you, especially in a season of trials. It's like listening to a self from the past, who speaks to you with a fresh voice and timeless wisdom for today. Below is what I wrote a few years ago for one of Element's anniversary gatherings, where we were encouraged to share why we "heart Element." I knew I would be adding my voice to the chorus of stories of how God brought me to Element. I didn't know how meaningful these words would be to me a few short years later. I hope it means something to you, too. I dreamed of a church that didn’t exist. This place, born out of a quiet but desperate discontent with what I was coming to know as the casual consumer Christian culture was only in my mind. But even though this church didn’t exist, I knew all about it. It is a place where things are stripped down and layers are peeled back to reveal a dedicated group of Christians trying to do things Biblically. It is a place where we don’t just say we’re a part of the family of God, but we try to actually treat each other like family. A place where warm openness and honesty trump fake, stuffy formalities. A place where music is an overflow of our family’s heart for our Creator set to rhythm and melody instead of being something that divides or bores people. It’s a place where politics and hierarchies miraculously don’t exist, and are replaced instead by ownership and equality before God. This dream church is a place with room. Room to grow. Room to heal. Room to be exactly who God made you to be, to be loved for it, and to love in return. With room but not so big that you get lost in it. A place with mini-churches that make up the larger church. Smaller family units where Acts chapter 2 has a chance of being lived out. It’s a place where service to God and His kingdom is inspired and not forced. Where guilt and frustration give way to freedom and relief. A place where we don’t exist for our own self-perpetuation, but to pour out love on the people around us. But, like I said, this church, this fantasy was nowhere to be found. Do you know how amazing it feels when God gives you the desire of your heart? That is what happened the first time I read through Element’s website. So this wild fantasy of a church does exist. Here. In my city. I knew that I had found exactly what I was looking for. That God had taken what I thought was impossible, what didn’t exist, and dropped it in my lap. And after the first visit, I was home. Everything I had hoped for in a church, every ingredient I had in mind for a Biblically-based family of believers was there at Element Church. Right from the start, I loved Element. I love our core values. Simplicity. Stewardship. Hospitatlity. Ownership. For my two years before being led to Element of thinking, talking and praying about what the true church should look like, these are literally the elements I ended up with. I love that we make mistakes. I love that we are only polished where we need to be. I love that when I tell people about Element, I rarely mention the music first (even though I love the music). I don't start by describing the messages or the leadership or the location or all the other items that one might look to check off a list when searching for a church home. I just usually say that it is a place where we love God together, as a family, and try to serve our city out of that same love. I love how I don’t get frustrated by church anymore. It’s not that we are perfect and that there are never any challenges to face here. We’re not and there are. It’s that because the heart of the church is in the right place, and my heart is aligned with our vision, so those little things don’t bother me anymore. I love that unlike so many other churches, we have been entrusted to take ownership of this family and its needs. When it's presented that way, so openly and confidently, I can’t help but to respond in proud service to my God, the people of this church and outside the church as well. I don’t feel obligated to serve here. No guilt, no arm twisting, no begging, no being talked down to. Just responding out of love to the needs of my brothers and sisters and those who aren’t yet. I love that each week we don’t have to sit through a set of directives from a “sage on the stage” who is a lot holier than us, the little people. I love that we receive thoughtful, open-ended, challenging messages that inspire us to further thinking, further study and further action. I could go on. A church like Element is not supposed to exist. At least, that’s what I thought. But it does. Thank God it does. And I heart it. A lot. Hypocrite. What a horrid word. I hate it. I hate what it means. I have never thought of myself as a hypocrite, at least in the spiritual context of the word. I have always tried to live as I believe. But lately… I’m not so sure. My dad recently did a teaching on integrity, and it has taken me through a rather confusing and altogether uncomfortable thought progression. In his message, Dad defined integrity as a lack of hypocrisy; integrity is being on the outside exactly as you are on the inside. There were several points of his talk that really struck a chord with me, and I marinated on it for several days. And after thinking over it all for a while, an overwhelming sense of doubt began to smother me. Or not even doubt, really… it was more like guilt. Shame. Regret, blame, and condemnation. I began to tell myself that I am a huge hypocrite. That I have lost all integrity and that the person I present myself to be is nothing close to the person that I really am. Okay… here’s the deal. Over the last year or so, I’ve been through some pretty massive heartbreaks and life changes. It’s been a time of stretching and growth and choosing to hope in God’s eventual victory in the many areas of my life that seem bruised or broken. But I’m not gonna lie… in between the times I’ve been strong enough to choose to hope for victory, I’ve wallowed plenty in the despondent depths of defeat. The defeat comes upon me unwelcomed and unannounced, and crushes me to the point of near hopelessness. To the point where I question everything I believe, every experience I’ve had with God, every lesson I have learned, and every person who has influenced me. And most of all… I question myself. I scoff at my own positivity. I convince myself that I’m just pretending to hope because it would be too embarrassing to admit defeat to the many eyes that are looking at me to lead. In this latest round of self-evaluation, I had pretty much decided that this hopeless, jaded, depressed, cynical, negative person was actually the real me. I surmised that the better versions of myself that I sometimes aspire to be are not really better versions at all… they are simply performances, facades, pretenses to disguise the ugliness that I am not allowed to reveal. I’m Skip Ross’ daughter after all (He’s kinda world-famous for teaching about positive attitude, in case you aren’t aware). I’m currently leading a camp where we bring in teenagers from around the globe to teach them principles of goal-setting, excellence, leadership, positivity, and dynamic living. And yet I’m sitting in my room late at night, unable to muster the strength to even pretend to display these qualities myself?!? WOAH! Hypocrite alert! Someone please kick me out of this camp! Kick me out of this family! Kick me off the leadership team of a church where I am trumpeting my belief in hope and restoration! The the real me is not acceptable, and the pretend me is nothing but a hypocrite. If that’s the best I have to offer the world, then I pretty much don’t deserve to be here anymore. WELL… that type of thinking got me nowhere fast. I mean seriously. That is some ugly crap right there. So let me tell you what turned it around. Even as I wrote the words “spiritual attack”, I felt some voice telling me, This is not an attack. Don’t try to make everything so spiritual. This is just you coming to grips with your true self. Your horrible, hypocritical self. And then I started to agree with that voice. Yeah… it’s not an attack. That is so dumb. Why would you even think that? This is God laying the smack-down on you for your hypocrisy! How dare you attempt to lead at Element or at Circle A or in business when you are just a breath away from complete disintegration!? But then—thank God—another thought occurred to me. Hold on… if there is something trying so strongly to convince me that I’m NOT under spiritual attack… then that’s probably pretty clear evidence that that’s EXACTLY what’s going on. That’s the lie of the enemy, isn’t it? The easiest one for him to get us to swallow: there is no war. Oh, to the contrary. There is a war. There is a war, and this is the thick of it. The enemy had tipped his hand once again. He had pushed a little too hard, spoken a little too loudly – and I saw it for what it was. A direct attack against the person that God created me to be. And so then… if I am not a total hypocrite… what am I? Because the truth remains that these dark and hopeless thoughts do come to me, despite my constant fight against them. They do lurk under the surface of my exterior presentation to those that I lead and those that I love. Is the depressed, angry, jaded person the real me? And everything better just a façade that I put on because I WISH I was a better person? OR… am I actually the better person too, and the two parts of me are at war? And if I am at war with my own self… then how do I win? Oh yeah. I don’t win. I can’t win. I never could. But I know the One who can. I know the One who made me, the One who sees both the ugliest and the most beautiful versions of me – and the One who loves me nomatter which version manages to surface in a given moment. And here's the thing - these imperfections that cause me to sometimes choose the darkness rather than the light are products of being human. A sinful nature is part of the package deal of living on this earth, and as much as I can wish and will perfection into being - it's never gonna happen. God didn't ask us to save ourselves. He gets to do the saving. That's what redemption is, after all - taking the yucky, broken, ravaged, and discouraged parts and making them beautiful once again. We all get the chance to join Him in this story of redemption - and when we do, we get to feel His Spirit empowering us to make the CHOICE to be the better version. So when I am strong enough to shake off the yuck and be the hopeful, passionate, inspired version of me - the credit for that goes directly to my Redeemer. And when I am not strong enough to make that choice... it's just another reminder of how much I need Him. A few weeks ago, we were in a board meeting discussing the future of Element - not just what we wanted, but where we thought God was taking us. As the conversation moved on, we started to look back to the past. What was Element founded on? Were we still on track with the original vision? All sorts of questions started popping up. Then the question of how we came to Element was asked. Liza and I had shared our story before with several people in house church and here and there. But this time, it seemed different. It was like the story became real again and it made us think about what happened over four years ago now that we hadn't thought much about at all lately. And that was sad. Sad, because we should think about why we are here more often, or rather how we even came to be here. Maybe we should think about it because it shows us why we are still here, still fighting and hoping and praying for our church. It shows us why our church is so important to us. So, here is how we came to Element... About five years ago now, Liza and I were a part of a small church plant. We had a good thing going and we were blessed beyond what we could have imagined. Through a series of events, it became pretty clear that we were to close up shop and move on. It wasn't a failure, it wasn't a terrible situation. It just happened. Before we actually closed up and moved on, a good friend of ours had visited Element on a Sunday morning. As soon as she had a chance, she called Liza to tell her all about Element. This wasn't just a "it was great, you guys should go one day" kind of talk. This was a "I can't stop thinking about this. This church will be your church one day. You guys will go to Element" kind of talk. Normally, we would just nod and say, "sure, we'll go", but we knew that this was different. We could not stop thinking about it after that. The first Sunday we had a chance, we dropped by to check it out. I remember walking in and thinking it looked like a cool place, bonus for having free coffee, people were nice. It was great, refreshing and fun. There was peace for both Liza and me. There was a feeling that our friend was right, this was our church and this was where we belonged. We felt right at home and made it our home. Looking back now, I just think... what if she hadn't called us? What if she was too busy or thought it was weird? Our friend doesn't even come to Element and actually never has again since. It's stories like this that make me see God in a different light sometimes. It makes me see that He cares so much about two people that He would set this whole thing up just so that we would be at Element. I'm glad He did and I wouldn't have it any other way. We have a home right here and we know that this is where we are supposed to be right now. A few years back for Element’s birthday, owners were asked to write their story of how Element came to be their home. The theme of the submissions was “I Heart Element”. Benjamin and I wrote our own stories which obviously reflected each other yet still expressed the individual, unique and intimate way in which God met each of our separate needs, hopes and desires through this body of Christ. Pulling these stories back out in a season where our church is turning the page into a new chapter of growth and being beautifully challenged to deepen our roots in ways that we couldn’t have without the trials we have experienced, I am so comforted in finding that this reminder of why God brought me here is still the reason “I am Element.” Not much has changed for me, even though change has been all around us recently. I feel that my heart and my soul are firm in God’s leading, His protection, His humble way of using me and I feel steadfast in His love and the love He has surrounded me with at Element. Saying that I Heart Element may be an understatement. Or, it may just be the wrong way of saying it….Element is my heart. That is more like it. After many years of trying to put on a happy face in the machine that is American church culture, I was done. If you know me then you know that I CANNOT hide the way I feel. I cannot fake it on Sunday or swallow something for the sake of going with the flow. As my husband says, I am a reactionary. I see something going one way and if I don’t like it then I want to take action, do something else, go the other way. For many years this feeling was growing stronger as I realized that church as I knew it fit in a box, it was a mold that I must shape to and a place that required conformity. “Like this music, serve only if you can fit into these time frames, wear these clothes, put on this face, only share this much of your heart,” and so on and so forth. I left church on Sunday mornings feeling frustrated, like an outsider, annoyed and exhausted. “My Jesus doesn’t want me to turn in to a person that is ok with superficial relationships, cliché answers, fake smiles, and half-hearted commitment”, I thought. But really, who was I to dare think that church should be anything other than what it is? And then, finally, God started my husband and I on a journey. Many talks, all the prayers we could muster up and lots of internal dialogue got us to the point where we read a book called Blue Like Jazz by Donald Miller. It was so refreshing to hear someone talk about being a Christian without all the “Christianeze” terms and coined phrases. Many of our thoughts and frustrations with the American Christian church were echoed in that book. Step number one. We started to talk about what kind of things we would like to see in a church. A model of simplicity, sincerity, the first century model of small “church houses” we called them, messages that lead us to want to investigate God’s word more on our own rather than sermons -complete with alliterated points starting with p- neatly boxed and all wrapped up, ready to store away. At the time we thought this kind of church was so radical and so far from what has become the norm that it simply didn’t exist in our city. But we were wrong. I was explaining to a friend why we were going to start searching for a new church and she said that she knew of a church that might fit some of the things we were looking for. When I first went to Element’s website, I laughed because it seemed to meet pretty much all of the desires we had for a church and then some. Honestly, we felt so drawn to Element that we postponed visiting because we thought “if we go there first, we won’t want to visit any other churches.” Two visits into our search we couldn’t wait any longer and visited Element that next Sunday. It was the week of my second child’s birth and I was about to burst. When we walked in the doors Bobby greeted us and recognized my husband, Benjamin, from the band scene they had both been a part of in past years. The Hahn’s warmly welcomed us and struck up a conversation with us that didn’t seem forced but genuine. The church pursued helping us with meals once our son was born, the worship was more moving and alive than any we had heard in many years or maybe ever, the message was thought-provoking and open ended…intellectual yet filled with heart and to top it all off our daughter came home tooting her horn for the walls of Jericho to come tumbling down. She had learned more in one Sunday than she did in three years attending our previous church. Needless to say, we hearted Element from day one. It wasn’t because we were on a church high or because of the novelty of Element’s eccentric culture. It was because of the genuineness that exudes from this church. Element has restored my love for fellowshipping with others, has healed my jaded feelings toward the flawed church, has challenged me to renew my commitment to be all that God wants me to be instead of some of it, has allowed me to breathe and enjoy having a relationship with Jesus rather than smothering me and making me feel guilty and obligated. And most of all, Element has moved in the life of my family…which is another story in and of itself but I can sum it up by just saying, I have witnessed miracles because of what this church has cultivated in its people. I love that Element is a people not a machine. I love that this church functions on simplicity and purpose rather than protocol and procedure. I love that I wake up feeling joyful and blessed to get to serve at this church rather than feeling burdened because I have to serve. I love that we are invited to meet God here in worship, in fellowship, in ownership, in relationship, in love and in accountability. I love that Element isn’t perfect and polished and functioning to primarily feed itself but rather reaches out to those around us. I love that Element is Element. Not a formula or a tradition or a cliché. I love that Element is just a church loving God and trying to make room for him to be a part of it all. To say I heart Element is most definitely an understatement. My heart was yearning and begging and pleading for a place to rest, recuperate and get back in the race. My heart was breaking for a place where I belonged. My heart was waiting for the opportunity to heal and grow and flourish in a place that God dwells. I believe with all my heart that the Lord took me and my family on a journey that led me here. I am all in, I am committed and my heart is happy. Heck yeah, I heart Element. I am home, I am loved and I am able to give even more of myself than ever before to my God as a result. Thank you God, for Element. When God hits you with a holy brick, what do you do? After years of continuing to do God's will at our previous church and praying that God would give us a clear mission for the future, God hit us with a holy brick. His message was clear to both of us. Go to Element, and do my work. Of course, there was a “but” on our part. “But it’s so far, what can we do over in Riverview when we live so far away? We wanted to go to a mission field somewhere outside the country. How would this be our mission field? You gave us a heart for youth, where are they”? What we discovered was that for now, all he wanted was our prayers and presence in the church. “Be still and know that I am God”, took on a new and very profound meaning after working in every capacity we could at our former church. This past year, we’ve felt God calling us to pray more palpably than we’ve ever felt it in the 40 years we’ve been serving Him at other churches. Little did we know that years after we came to Element, God would want us to ramp up our prayers for this little church with the big heart. Satan had placed a target on its back, but God was calling us to fight these attacks. 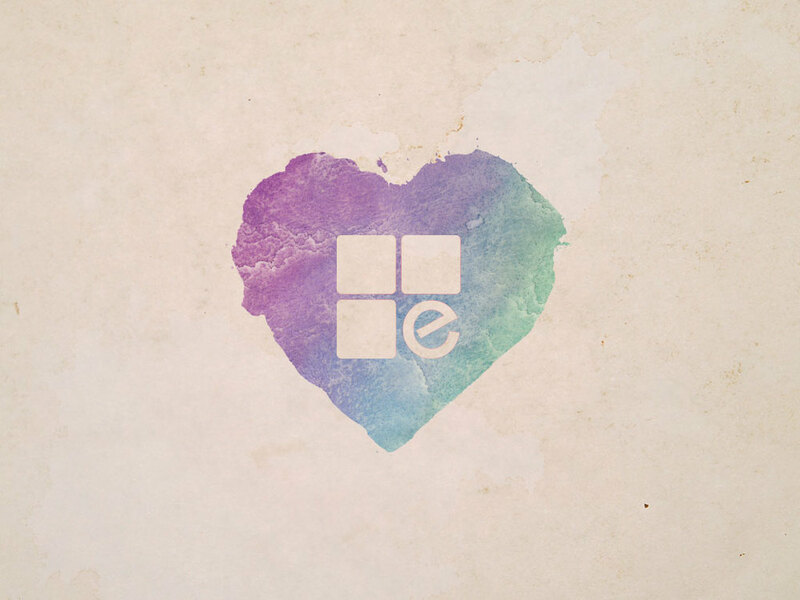 Element has come under some fierce fire as of late, but it has also been instrumental in healing broken hearts and sending out some of the best mission-minded, God centered young people in the world. “Not by might nor by power but by my spirit” God said to Zerubbabel. We have nether the might nor the power, but we have the Spirit of God if we are willing to do his will. God has an incredible way of cutting through all the human emotional muck and getting us back on track if, as I quoted before from 2 Chronicles7:14, “we humble ourselves and pray and seek his face”. We are humbled by the fact that God has placed Dan in the position of Elder at Element, and that he’s been able to witness a group of young men with a passion for Christ sift through the deceit and misdirection Satan has tried to place in our path. With love and concern and with the firm direction and guidance from God’s word, these leaders have been able to bring the little church with a big heart back to its roots. And so we now see our mission has been realized and renewed. God has asked us to pray for everyone at Element, and never stop seeking to do the will of God. We now know His will comes in many different forms and that we have been blessed by a God who has a very large storehouse of “holy bricks”.